For Sale By Owner prospecting scripts and sales scripts. 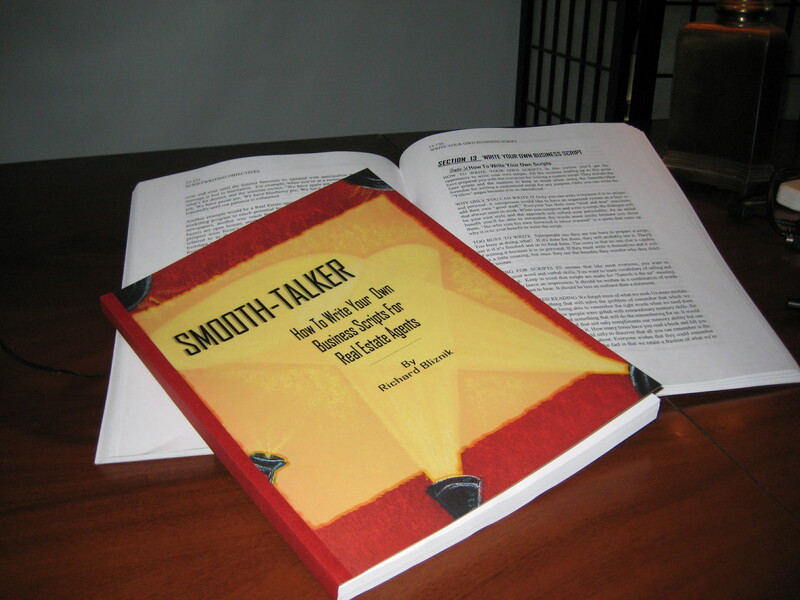 From the author of the book: "Smooth-talker - How To Write Your Own Sales Scripts"
Exactly what are prospecting scripts? 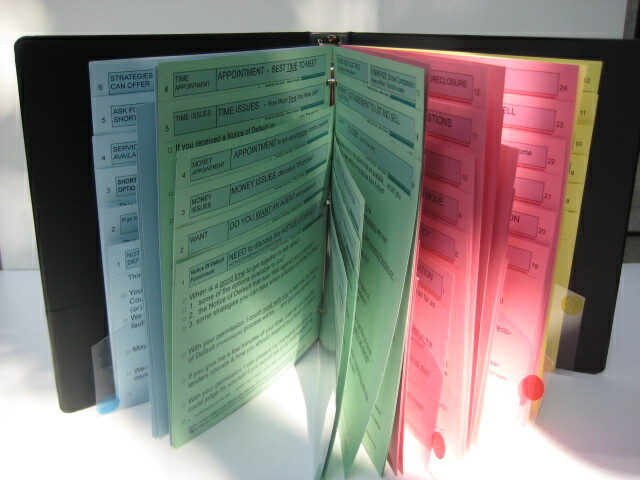 Features of the sales scripts. How sales scripts benefit you. Real estate For Sale By Owner telemarketers. Real estate Notice of Default & Foreclosure Telemarketing. Referral scripts "Ask for referrals"
Referrals "Join my referral networking group"
Training scripts for Coaches & Trainers. Training scripts for Financial Services. How to write a script. Click here for FACEBOOK page ..
For Sale By Owner scripts are designed for prospecting For Sale By Owners. Although the scripts for For Sale By Owner emphasizes commission issues, believing that the owner can do just as good a job as a real estate agent is a factor. Real estate agents have discovered that prospects won't give a salesperson any time if they think they are unprofessional. For Sale By Owner scripts are written responses that concentrate on money & commission issues. The homeowner wants to save the commission. The only reason a homeowner has for trying to sell their home without a real estate agent is to save the commission. For Sale By Owner scripts puts an emphasis justifing a commission. For Sale By Owner scripts is a prospecting tool to get an appointment with a homeowner to list their home. The scripts incorporate effective methods for getting listings from For Sale By Owner newspaper ads. Are Smoothtalker Sales & Prospecting scripts worth it? Sales managers send theirs salespeople to hear expensive seminar speakers to learn scripts for For Sale By Owners. The speakers are highly entertaining but the salespeople come away with very little they can use everyday. Seminar speakers spend so much of their time amusing their audience with enjoyable topics that they leave little time for substance. It's the same with salespeople learning the words of the scripts for For Sale By Owner techniques. Many companies keep trying these old tactics and wonder why they can't achieve results. Package includes a 24 page Instruction Manual, extra pages and more. The goal is to get an appointment. For Sale By Owner scripts are used when prospecting by telephone to get an appointment. The real estate sales script for the For Sale By Owner is meant for salespeople to learn the elements of sales prospecting. When prospecting the For Sale By Owners, the homeowner wants to talk specifics and don't want to listen to overused sales hype especially if they aren't able to communicate with you when making a prospecting call. For sale by owner sales scripts are written to help you make prospecting calls by help you remember what to say. It’s hard to find a sales training course that teaches salespeople how to write a For Sale By Owner script. A sales trainers most important job is to find sales script that will make them the most money. For Sale By Owners scripts has become important tool of the overall goal of becoming a successful real estate agent. Sales training that settles for merely being adequate goes against today's thinking. There's no room for mediocrity in for sale by owner scripts. Sales managers and salespeople both have the responsibility to know about the latest technology systems, tools, and services that involve sales and marketing and especially sales scripts. The source of a For Sale By Owner is usually a classified ad in the newspaper or a sign in the front yard. From the time the first newpaper ad is published, it is important to make contact and build a relationship with a homeowner. Prospecting scripts the the For Sale By Owner is a high relationship, trust building and local expertise relationship that is desired. The prospecting aims to establish an ongoing communication. Strategy & tactics for calling the For-sale-by-owner. - New rules and principles for prospecting the For Sale By Owner have resulted in a shift in sales tactics. It's a new trend that many who teach sales scripting are keenly aware of. Sales training programs for teaching scripting for the For Sale By Owner always give good advice when they say to listen to the following; "It’s always good to know what you don't know.” When you find out what you don't know, you have a clear path and a vivid picture of what you'll need to do. For Sale By Owner sales scripts focuses on the “time” element. The homeowner will not list their home with you until they have tried to sell their home for period of time. It is referred to as the "shelf-life" of a prospect. A For-Sale-By-Owner's “shelf life” is relatively short because a prospect will usually list their home with the an agent after they have tried to sell their home on their own. 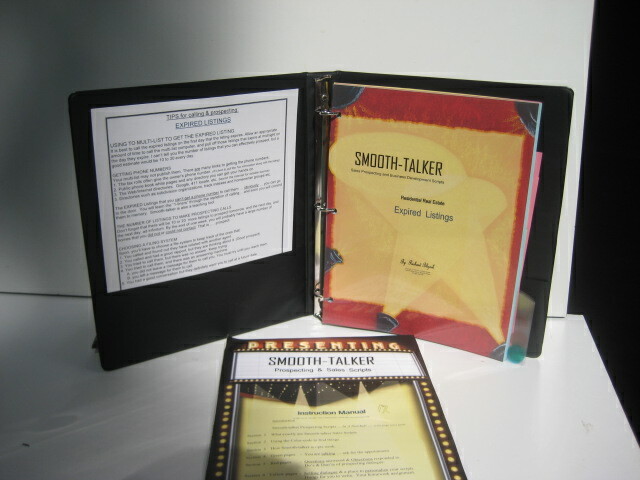 The scripts are written as a result from writting his book: "Smooth-talker, How To Write A Prospecting Script." Sales managers are always on the lookout for real estate For Sale By Owner scripts that will result in getting them more business. Chances are that making prospecting calls to For Sale By Owners is usually the biggest problem in your sales effort. Determine if prospecting by telephone call becomes a "choke point" in your plan to get new business. If making phone calls is critical at this point in the prospecting activity, examine the reasons it is not being done. Headings & Topics of the Scripts for For Sale By Owner. 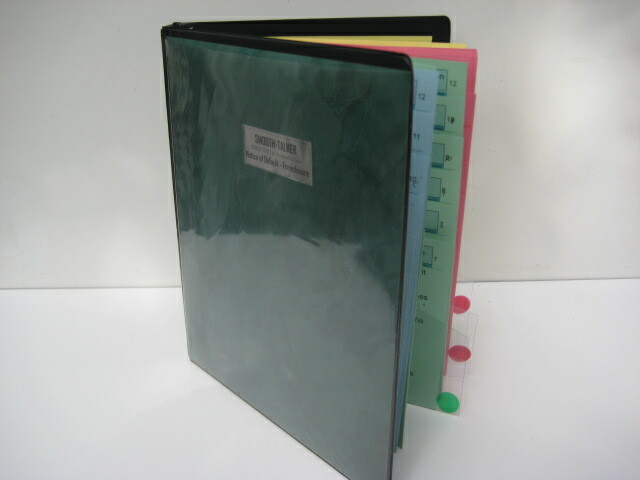 GREEN 24 pages of dialogue when you're are talking and conversing with a prospect. 12 pages of Lead-off scripts. They are the opening dialogue and should take 30-60 seconds of "talk-time" to deliver. The basic For Sale By Owner call. Will you interview agents? Can I stop by? Follow-up call after a mailing. Will they do a "one-party" listing. Calling after business hours. Calling very early. Calling on Saturday or Sunday. 12 pages of the tradational questions you should ask a prospect. Do they have a Need for the service. Do they Want the services of an agent. Get An Agreement To List With Me Build Relationships & Take the next step. RED 24 pages contain Questions that must be answered & Objections that must be responded to. I’m Not Interested. I Don’t Want Whatever You’re Selling. Too Busy - No Time to see you. Non-Committal - I Can’t Decide. I’ll Think about It - Stalling. Send Information - Tell me by phone. Why are you calling? Why Should I Choose You? Why Should I Change Agents? You’re Asking A Lot Of Questions. Do You Have a Buyer? Bad Experience - I’m Mad At You Agents. Sell It Myself, Save The Commission. If you’re so good then get me my price. How Much Is Your Commission? Others charge less commission. Will You Negotiate Your Commission? Will You Cut Your Commission? I’ll List with a neighbor. Friend in the Business. Not Now - Maybe in the Future. Wait until the Economy Gets Better. I Want to Wait - Now Is Not a Good Time. Call Me Some Other Time. YELLOW pages are the traditional Selling Language. The reasons to do business with you. There are "fill-in-the-blanks" for facts about you & your product or service. 30-Second Commercial. Agent Profile - Agent Services. Agent Services - What I Can Do. Affiliations - Guarantees - References. Benefits of Company & Agent Services. Why Meet With Me? Things to discuss. 3 Reasons to Choose Me. 3 Reasons to Choose My Company. Resources, Internet, Research, Size, History. Things a Broker & Agent Can Do. For sale by owners have a shelf life of two weeks to two months on average. All sales managers want their salespeople to make the call immediately because the prospect usually wants to keep the home on the market and choose a new realtor as soon as possible. For the real estate agent prospecting For sale by owners involves convincing the owner to put the home on the market because the agent can give the home more exposure. For Sale By Owner is a “high relationship” type of business. The real estate business is constantly changing. Strategy and tactics have changed. Trust, values, and high relationships have been rekindled in sales script for the for-sale-by-owner. No more high pressure tactics, low ethics, and a "me first attitude." You must change your strategy if you expect to excell in todays market. The market place is unforgiving in that it harms the ineffective and rewards excellence. Copyright©1996-2018 Richard Bliznik, Smooth-talker Sales & Prospecting Scripts. All rights reserved.